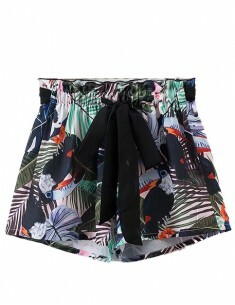 Parrot & floral print front tie shorts features drawstring waist. 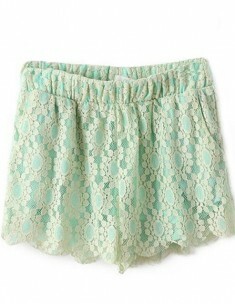 Sizes will vary by style, p..
Sweet lace shorts with side pockets. 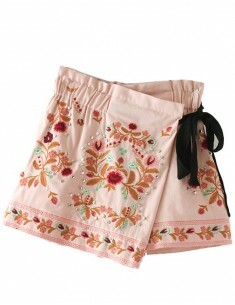 Mid waist type, elastic waist, cotton blend fabric. 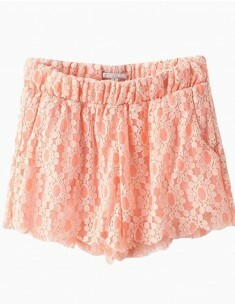 Measurem..
Tie-waist floral embroidered skirt shorts. Available in black & baby pink. Sizes will vary by.. 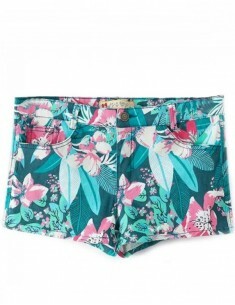 Cute leaves & flowers floral print zipper summer shorts. Front & back pockets, zip fly bu..
High waist denim pockets shorts with front buttons and back tie design. Sizes will vary by style,..